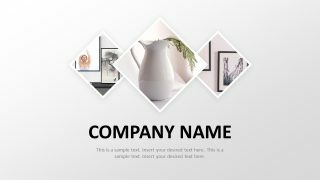 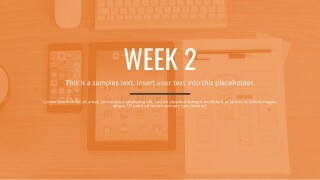 Weekly Plan Professional PowerPoint Templates – Corporate managers are in charge of the strategy and tactics of complex businesses and business areas. 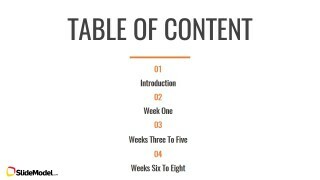 Once the strategy is outlined, goals are set and measurable indicators are defined, a plan needs to be created to execute the tactics. 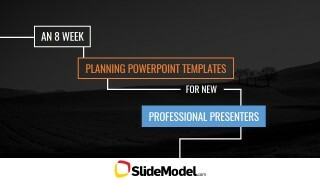 This presentations contains Professional PowerPoint Templates to describe a corporate strategy plan in a weekly basis. 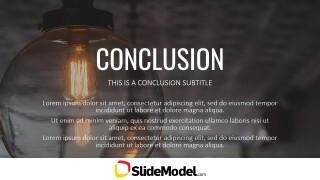 The structure of the presentations is designed using the Slidedoc concept; a visual document, developed in PowerPoint, that is intended to be read and referenced instead of projected. 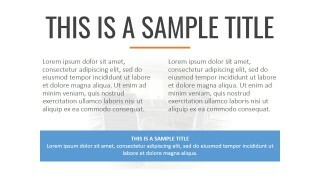 The internal content provides slide designs both for detailed views and a high level overviews. 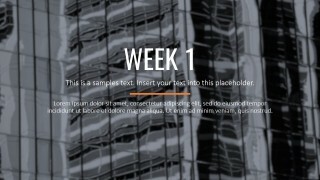 The user can decide which level of detail to apply, or even combine detailed weeks, with high level weeks. 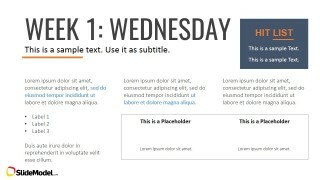 It is recommended that this presentations is used across the execution of the plan, in order to review the completed stages and adjust the remaining ones. 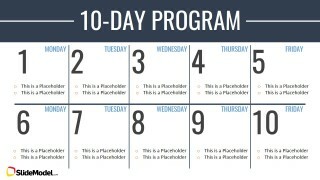 The presentations starts with a calendar view of the first two weeks. 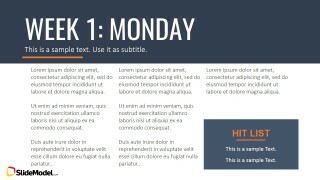 These are followed by day by day detailed slides. 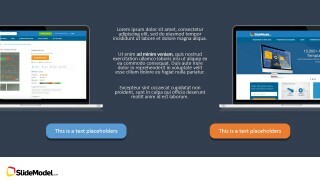 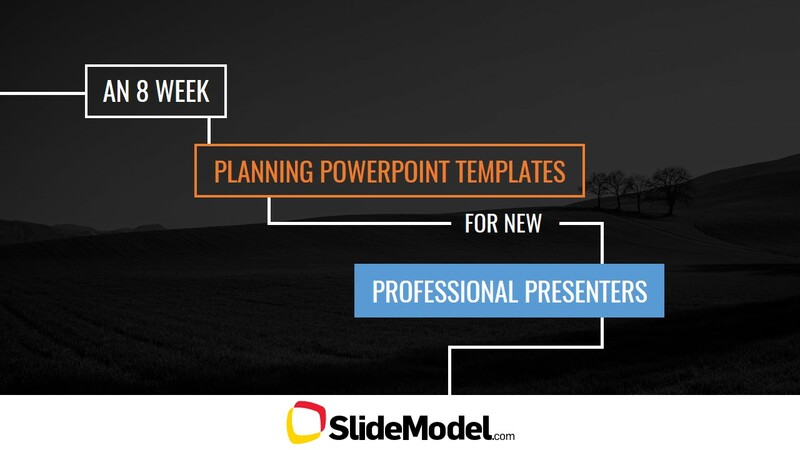 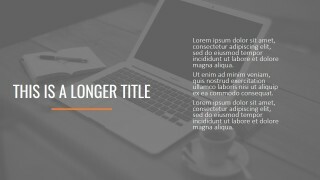 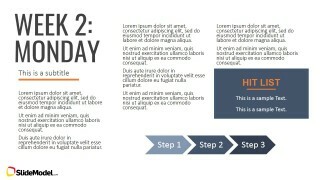 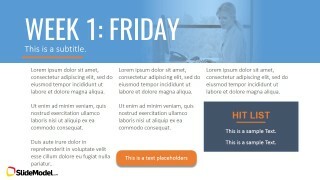 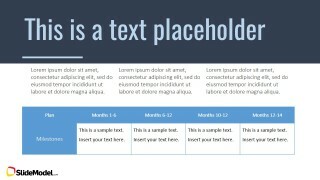 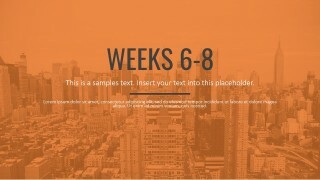 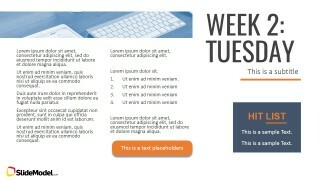 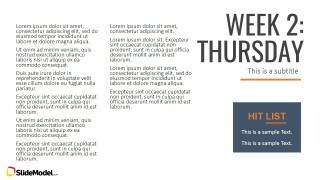 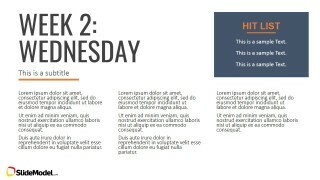 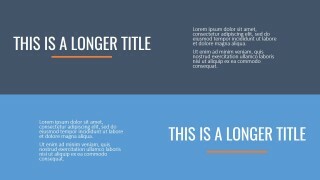 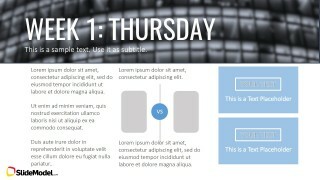 The PowerPoint Template provides different slides layouts that the user can combine. 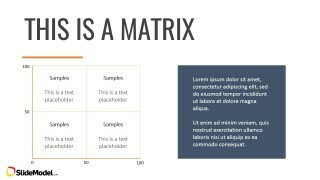 The slides are text intense, and each layout has its own visual focus. 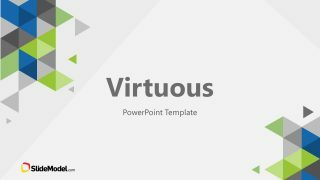 The PowerPoint Template is created with a modern flat design, and it uses Creative Commons (4.0) licence photos. 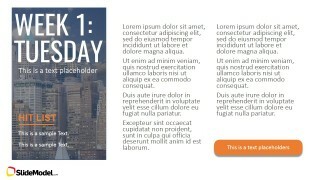 The user can easily replace the photos with their own visual content. 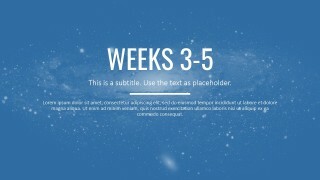 The effects will be preserved as they are applied with PowerPoint images effects. 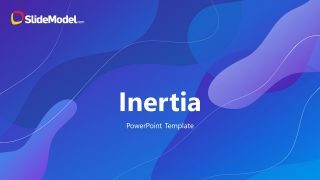 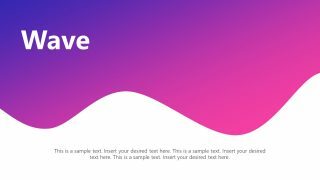 Each of the shapes in the template are created as PowerPoint objects, allowing the user to fully customize their appearance, as color and size, withour losing resolution. 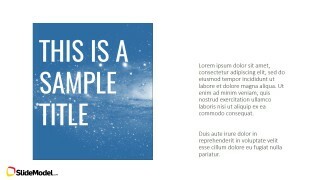 The font used is the free font Oswald, from the Google web fonts project. 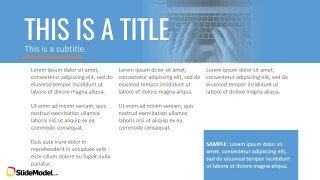 In order to be able to use the font, we have embedded it into the presentation. 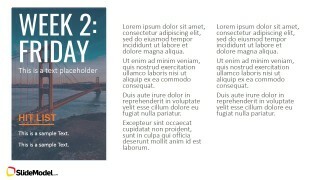 We recommend that you also download the font and install it in your computer. 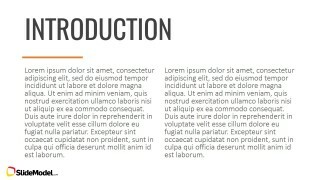 We also provide a version of the template in Calibri font, for those users that do not want to work with no native fonts.